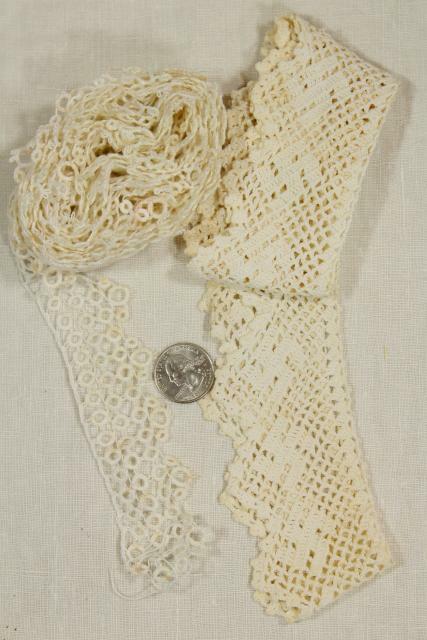 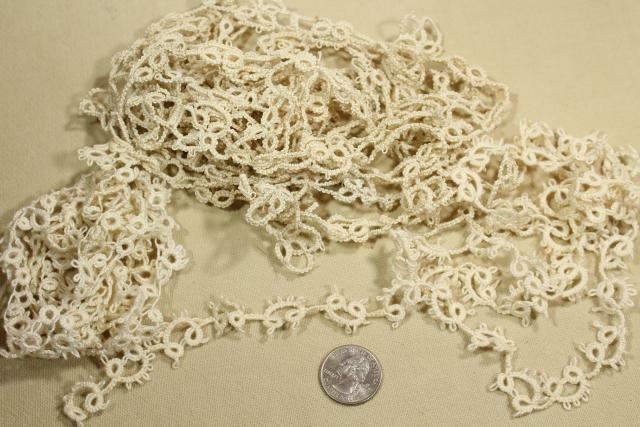 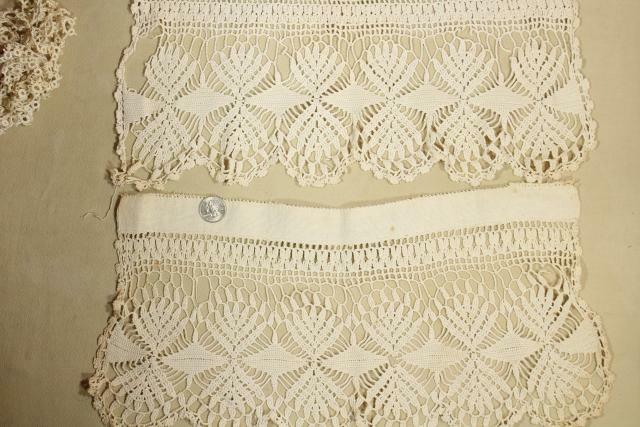 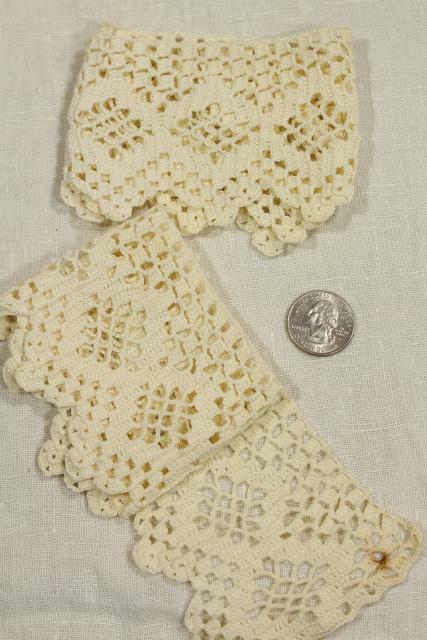 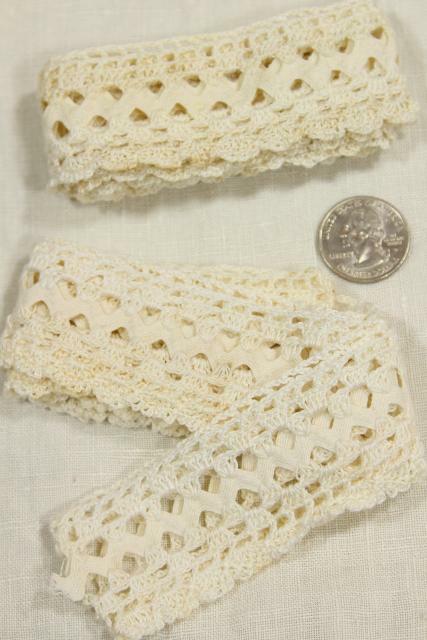 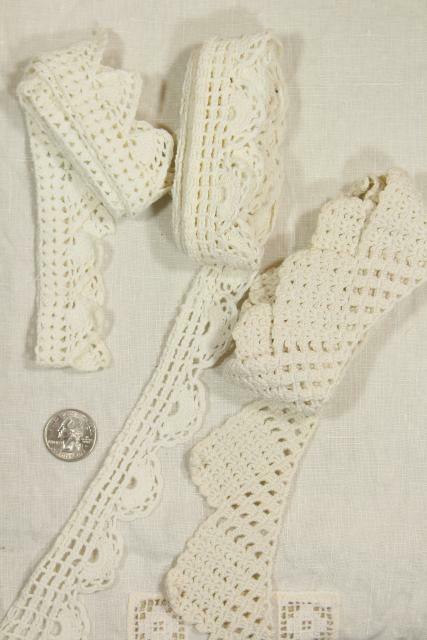 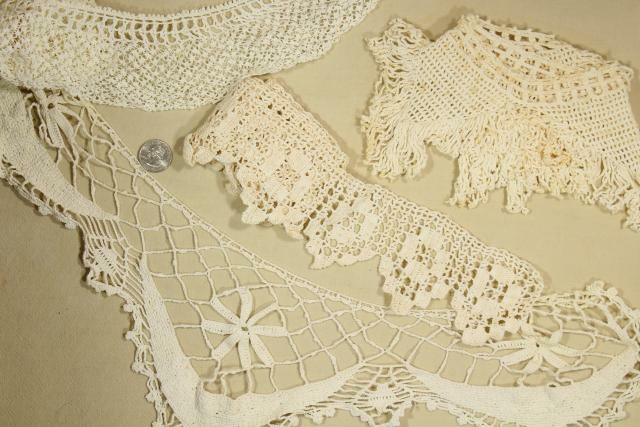 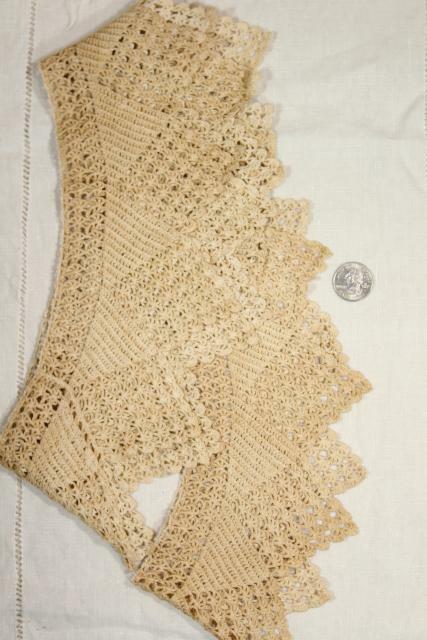 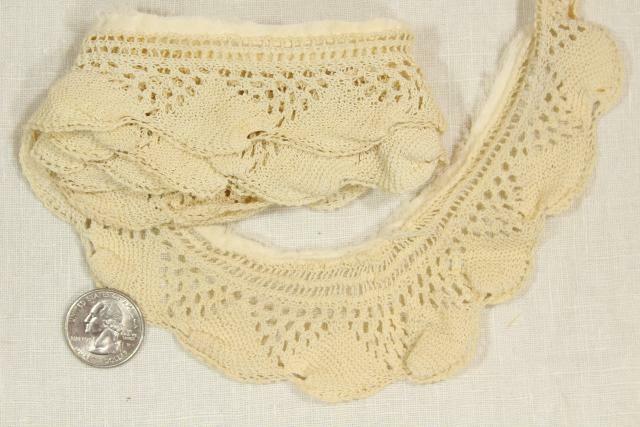 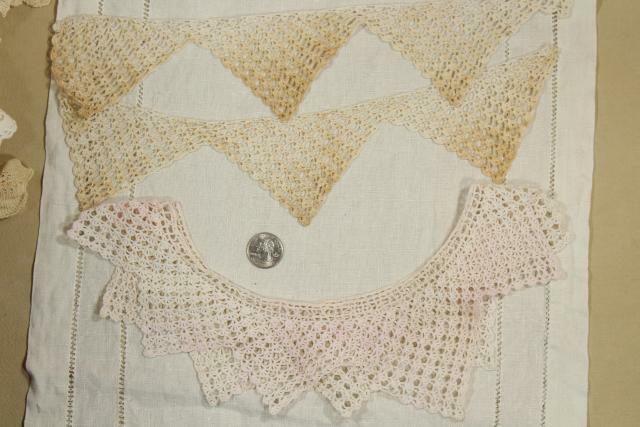 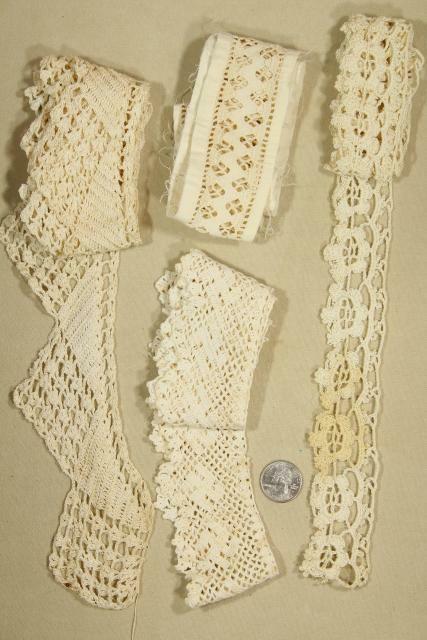 Lot of early 1900s vintage lace, eyelet trimmings and crochet lace edgings, so pretty! 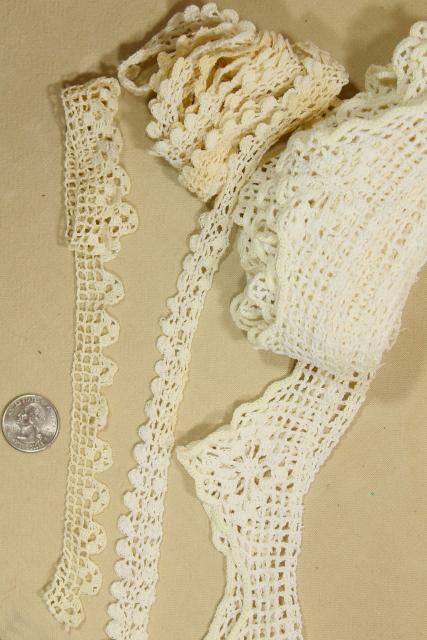 Most of these are fairly short lengths (two yards or less), widths vary. 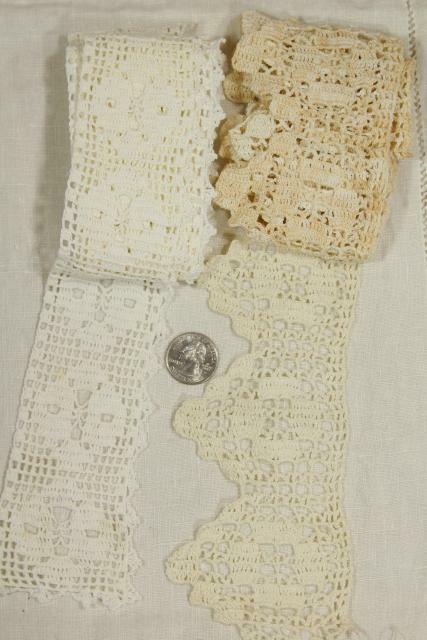 Most of the trim has been used, and many pieces have some damage. 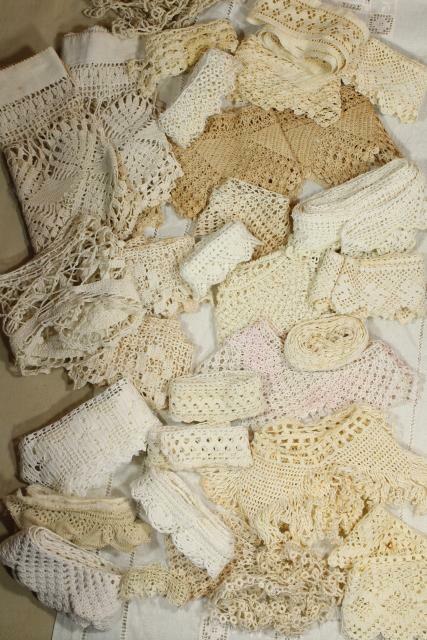 Some has some browning and discoloration (fading or spotting in areas) from age and storage... we haven't laundered this or had it cleaned.